Hi Lovelies! Happy New Year from the beautiful city of Dubai. You may be thinking I am in Dubai right now. 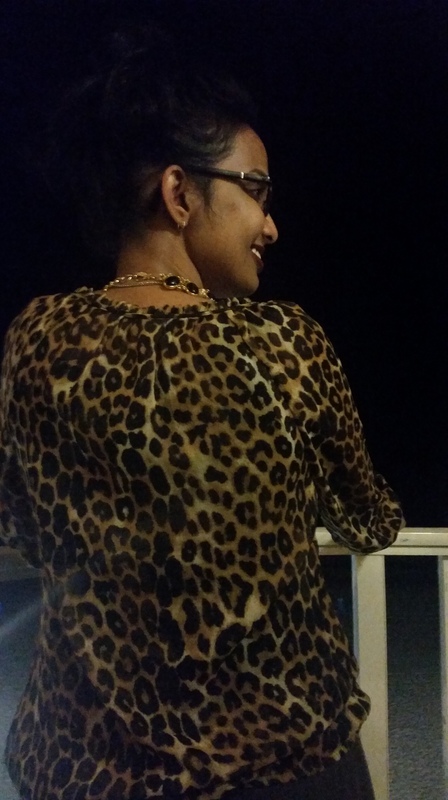 Actually, not really but one year ago today, I was celebrating New Year from Dubai. 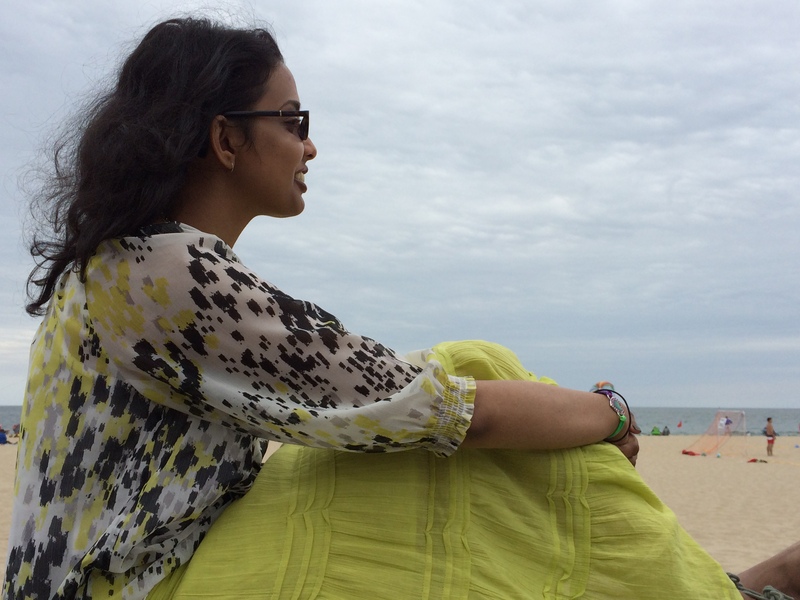 I decided to wait till now to share my experience with you. 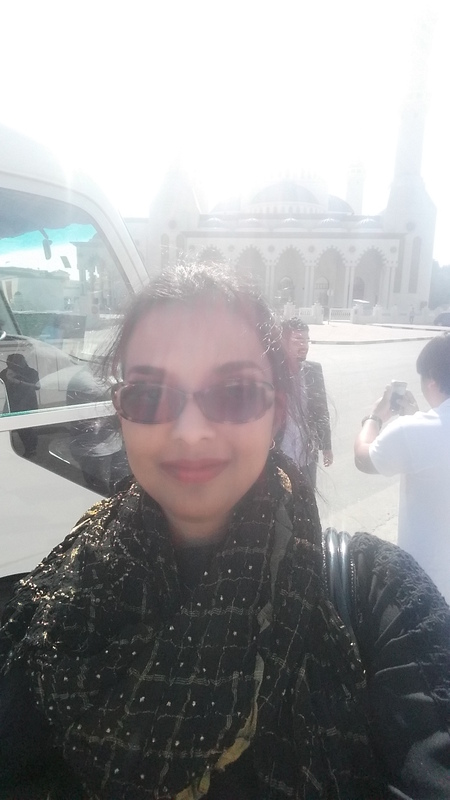 Dubai is a beautiful place to visit and I was only there for a day but I want to share my experience my experience with you, my lovely and wonderful readers. We left for Dubai on the mid-morning of December 31, 2015 for a close to 9 hours trip. We flew from Dulles International Airport. We flew by Emirates and went by Dubai timeline to celebrate New Year in the plane. At midnight UAE time, the flight attendants came by wearing the New Year hats wishing up Happy New Year. 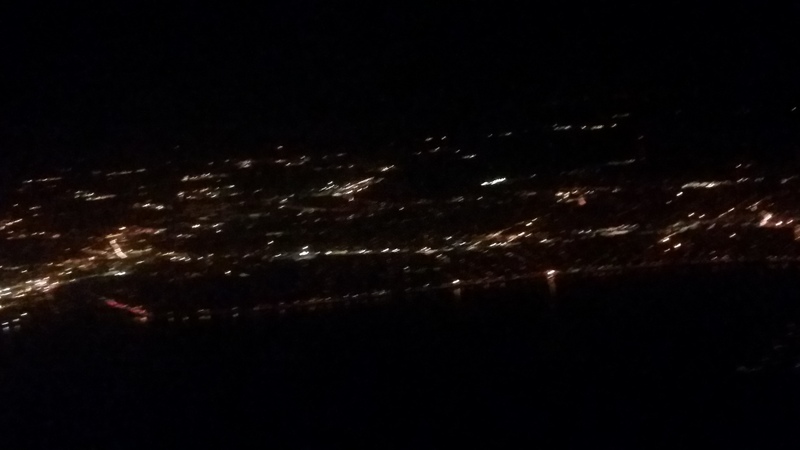 To be honest, this was the very first time in my life, I ushered in the new year above international water. My dear wonderful readers, during my visit to Dubai I have taken the time to take deep breath and take time to observe my surrounding. The result was to enjoy the moments even more and creating lasting memories. I were in the hotel by 9:00 am. I took a little time to freshen up and relax after the long trip. After that we went to the lobby and booked one of those guide tour to show us around the city. We highly recommend this as it will allow you to enjoy various part of the city with guided tour. Each hotel have various package deal, you have the option from 2 to 6 hours tour and even a desert tour. 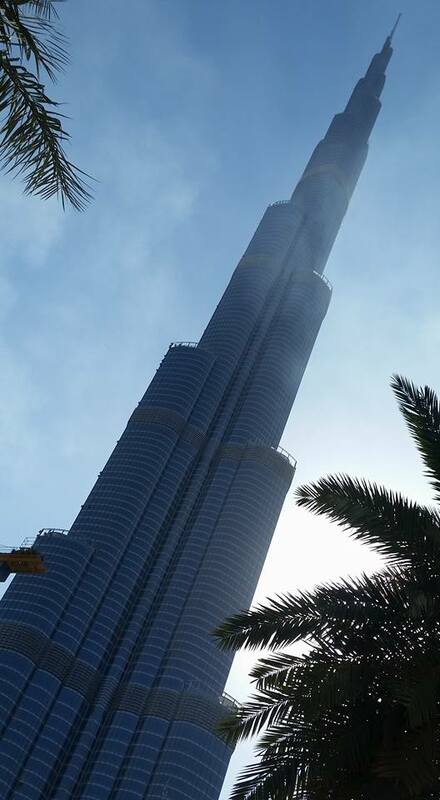 We visited various part the city including: Burj Khalifa, Burj al-Arab, Dubai Business Central Twin Towers, Emirates Park Towers Hotel & Spa, Jumeirah Emirates Towers HoteI, Dubail Mall, Al-Farooq Mosque, Jumeirah Beach, Atlantis the Palm, Palm Island and so on. I am also glad that we took a guided tour because even on January 1st it was in the mid to upper 90s in there. 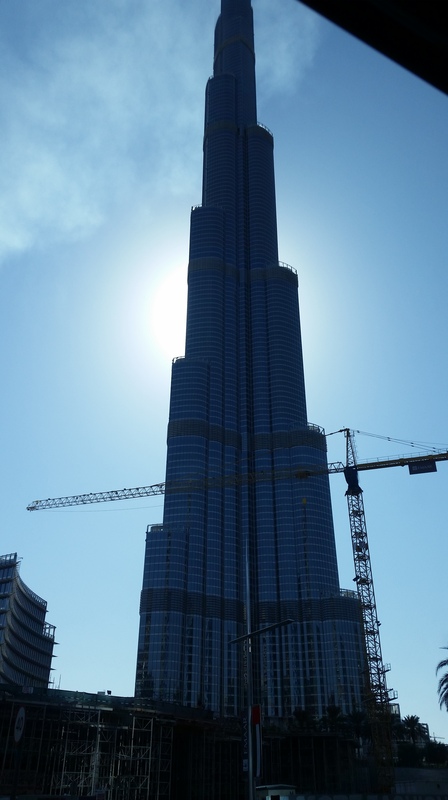 Burj Khalifa: Burj Khalifa is the tallest building in the world, standing tall at 829.8m (2,722ft). Burj Khalifa was designed by Adrian Smith, then of Skidmore, Owings & Merrill (SOM), whose firm designed the Willis Tower and One World Trade Center. Hyder Consulting was chosen to be the supervising engineer with NORR Group Consultants International Limited chosen to supervise the architecture of the project. The design of Burj Khalifa is derived from patterning systems embodied in Islamic architecture, incorporating cultural and historical elements particular to the region, such as in the Great Mosque of Samarra. The Y-shaped plan is designed for residential and hotel usage. 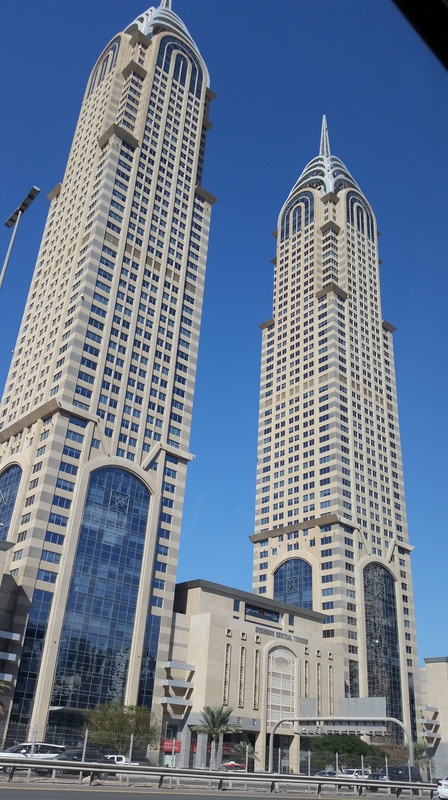 A buttressed core structural system is used to support the height of the building, and the cladding system is designed to withstand Dubai’s summer temperatures. I was literally awestruck when I first saw the building ground up. It is humongous. I tried to take picture of the entire structure from ground up and failed miserably. The building was too tall. To me, the picture does not do justice. 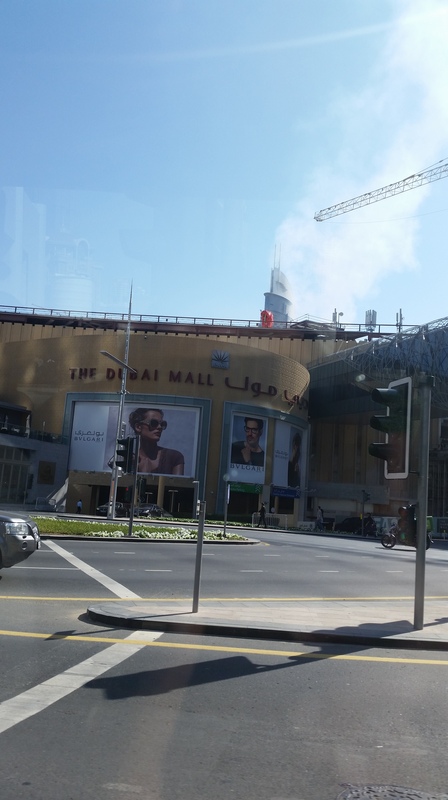 Dubail Mall: This mall is located at the foot of the Burj Khalifa and stretches across 1.1 million sq/m, it is the world’s largest shopping, entertainment, and leisure destination. There are 1,200 retail outlets, from Armani to Zara, or visit the Dubai Aquarium, children’s theme parks and the Dubai Ice Rink. 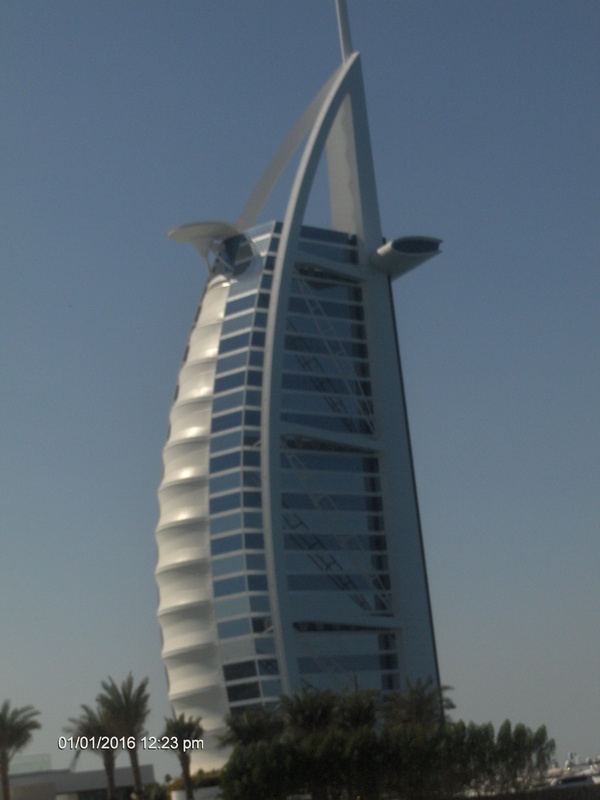 Burj al-Arab: It is a luxury hotel. It is a five-star hotel, the highest official ranking. While the hotel is sometimes erroneously described as “the world’s only seven-star hotel”, the hotel management claims to never have done that themselves. It is also the fourth tallest hotel in the world. This beautiful architecture, designed to mimic the sail of a ship, is on an artificial island 280m (920 ft) from the Jumeirah Beach. The building stands tall talk 321m (1,053 ft). 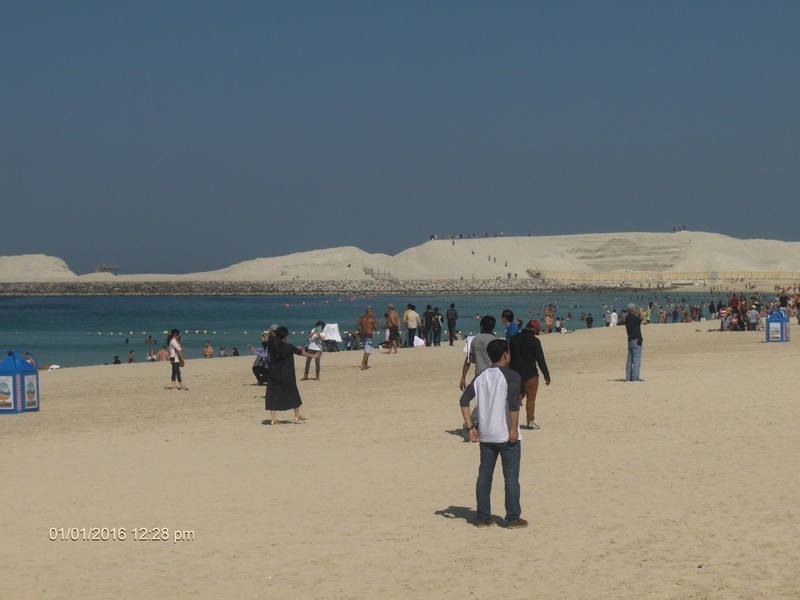 Jumeirah Beach: The glorious Jumeirah Beach lies along Dubai’s coast, providing stretches of soft white sand on which to relax and play. Our tour bus dropped up off their for 20 minutes to enjoy the view of the ocean and take pictures. It was very hot. It was the dry heat that made it hard to stand there. I stood near the water to enjoy the water a bit but the sand was very hot. We took the time enjoy some beach time. I enjoyed every moment of it because I knew that I couldn’t have done that in the east coast on January 1st, with temperature in the 30s. 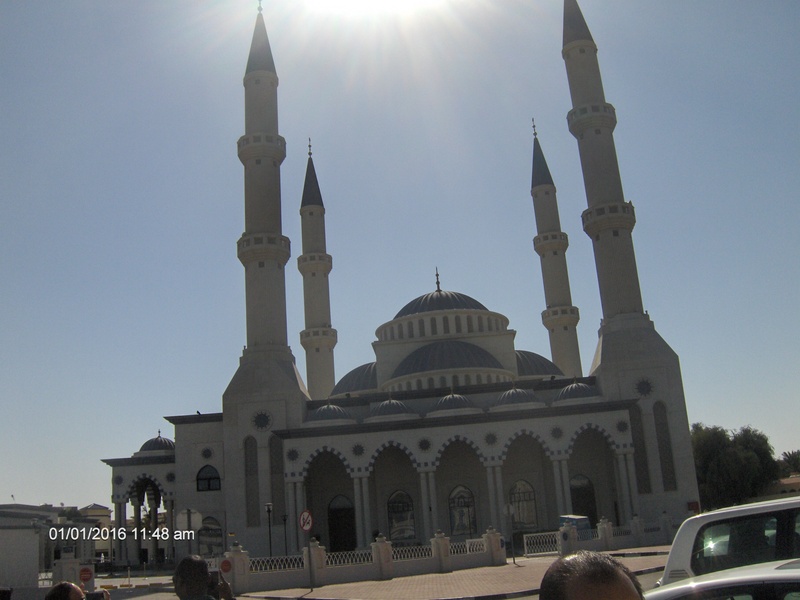 Al Falrooq Omar Bin Al Khattab Mosque: The mosque is named after Umar bin Al Khattab, a companion of the Prophet Mohammed who became the second Caliph after Abu Bakr and was given the title Al Farooq, meaning someone who distinguished truth from falsehood. It was a very quiet and serene place to visit. I am always fascinated by the European and Islamic architecture. We stopped and spent 10 minutes absorbing the environment and taking picture. It is a beautiful place to see and the mosque is so beautiful. There are inscription in the walls, which are Ottoman inscriptions inspired by the Blue Mosque in Istanbul and had an Andalusian touch. 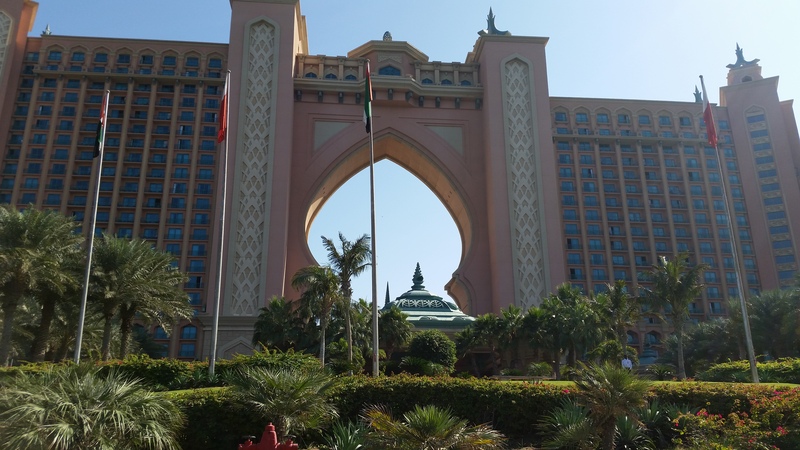 Atlantis the Palm: Set on the iconic Palm Jumeirah island with views of the Arabian Gulf, this luxurious resort is 14 km from Wild Wadi Water Park and 15 km from Mall of the Emirates. 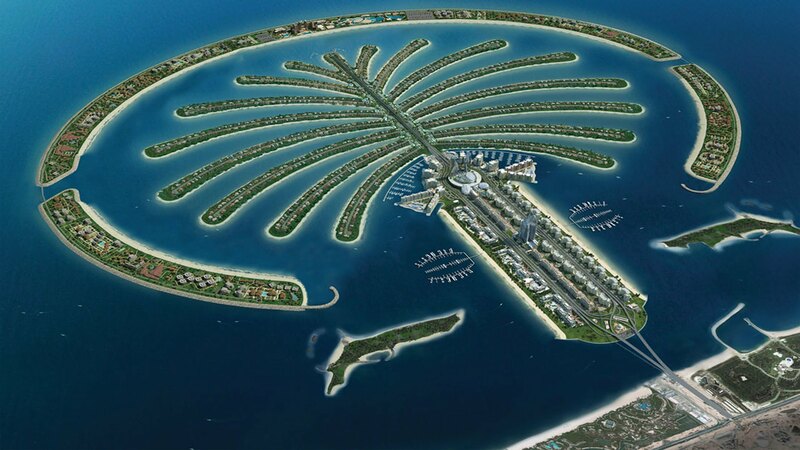 The island is a man-made island in the shape of palm tree. The island consists of a tree trunk, a crown with 16 fronds, and a surrounding crescent island that forms an 11 kilometer-long breakwater. The island itself is five kilometers by five kilometers. 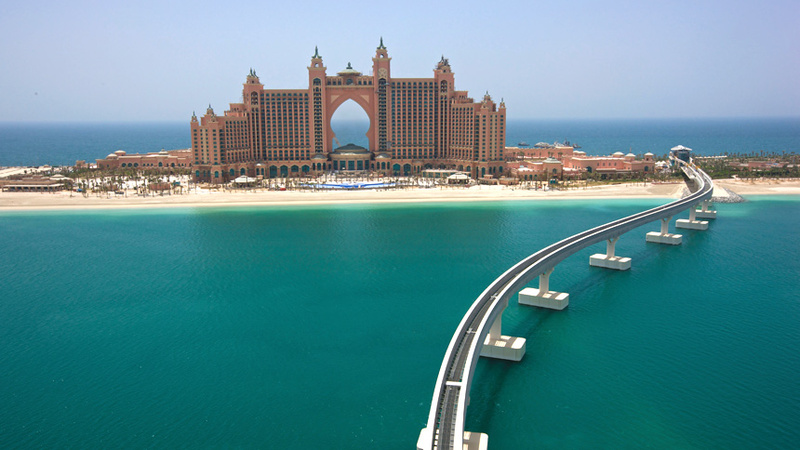 It adds 78 kilometers to the Dubai coastline. 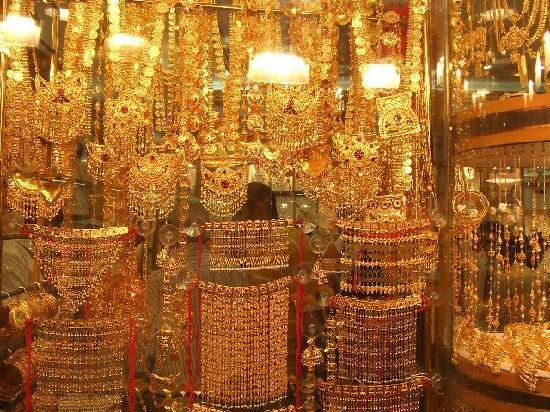 Gold Souk: The souk is located in the heart of Dubai’s commercial business district in Deira, in the locality of Al Dhagaya. The souk consists of over 300 retailers that trade almost exclusively in jewelry. One thing that I have learned about buying gold from Dubai, if you really want to buy gold from Dubai from gold souk then you really to haggle to get the best deal. Courtesy a friend of mine. Dubai Museum: Finally, we ended the trip with visit to the Dubai Museum. It is the main museum in Dubai, United Arab Emirates. 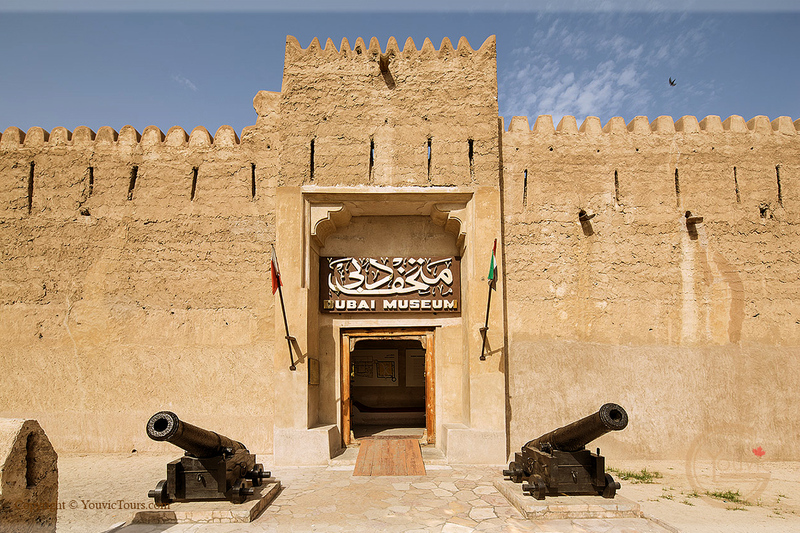 It is located in the Al Fahidi Fort. When entering, one can see the fort constructed and the various displays that go along with it. From the fort, there is a path to the galleries, which display the general culture of the land, especially in the 1800s. It includes local antiquities as well as artifacts from African and Asian countries that traded with Dubai. We did not enter the museum but sat outside and enjoyed the outside view. 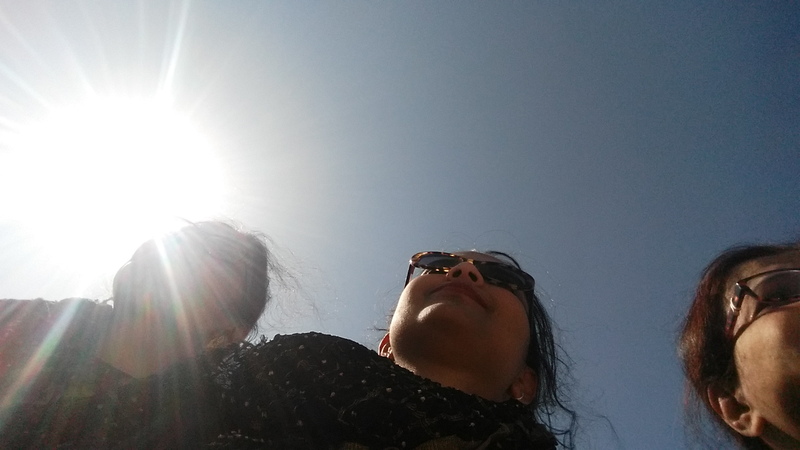 Overall, I always recommend to use guided tour to visit various places at Dubai. I know one day was not enough to visit Dubai. Next time, we will be there longer and enjoy more. Until then, we really enjoyed our day at Dubai. If you ever get a chance take a stop over at Dubai and take a guide tour of the city. A friend of mine did the same on her way to Australia. I hope you enjoy the post as much as I loved writing this. Don’t forget to check out my Facebook Page and follow me on Instagram @allaboutme3181. Hi There! Happy Friday! Hope you are having a good day. 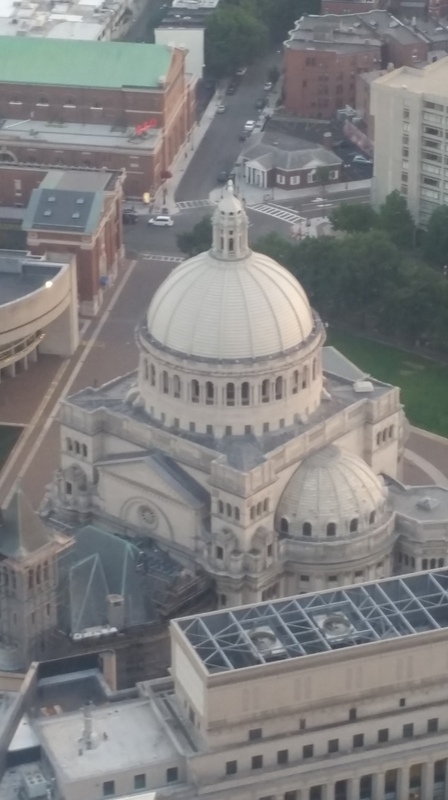 Today, share my experience of my recent and very first trip to Boston. Though I have to say it was a very short business trip but I did enjoy it a lot. Hence, I will share with you can do during a one and a half day trip to Boston. This is by no means what you should do but this what my colleague and I need and had a great time in the process. I went to Boston on September 8th and Boston had a record heat that day with temperature in the mid 90s. I took very early flight so that I can have the entire day to enjoy the city. I stayed in the Colonnade Hotel. 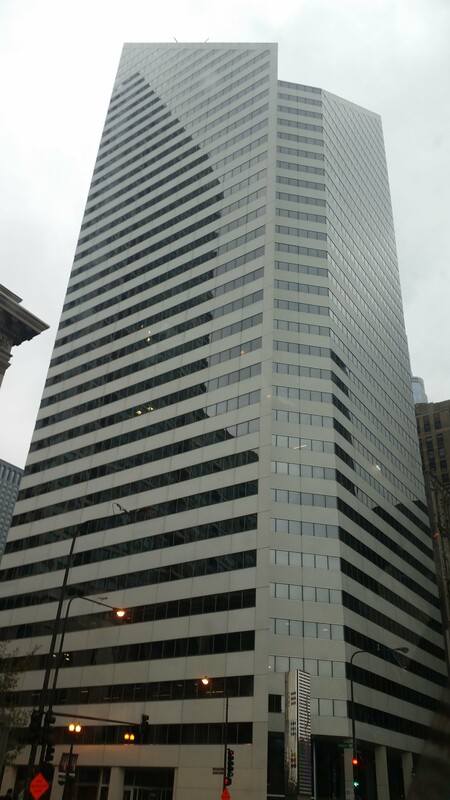 It’s located at 120 Huntington Avenue. Everything you need is just a few blocks away. 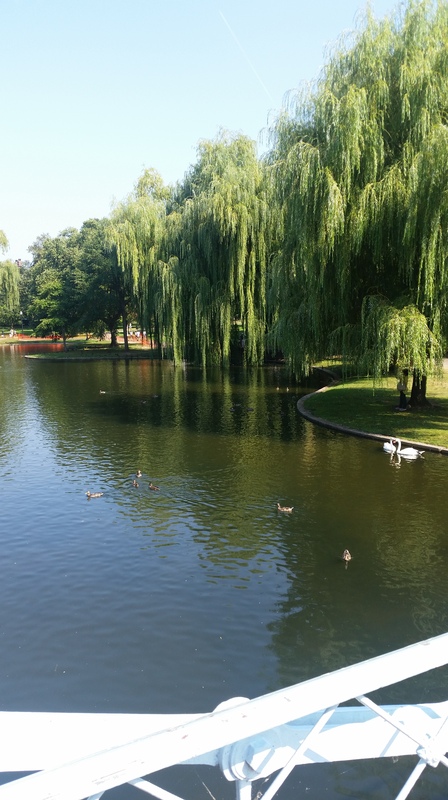 It’s just a mile from the famous Fenway Park. 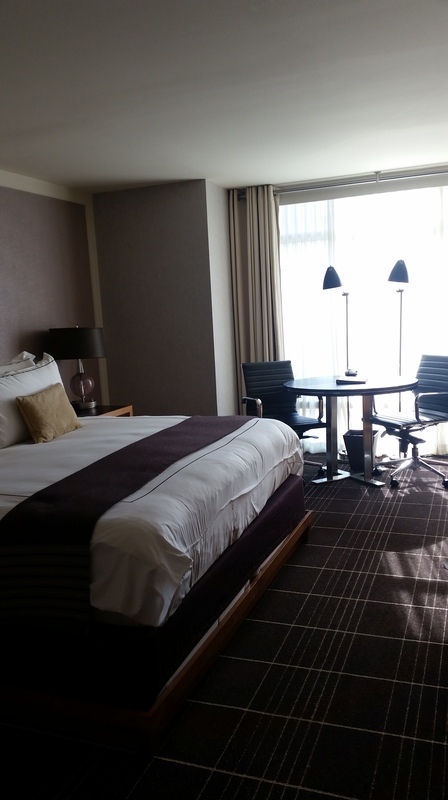 The staff was welcoming and helpful, especially, Norman the doorman, and the room was clean. The concierge staff was very helpful. One thing I have to say that I was little disappointed at was room service when I had a horrible headache I called for room service I was constantly transferred around, which was a little annoying since I needed to eat something before taking my medicine. Other than that, everyone was very nice an amazing. Trinity Episcopal Church is beautiful church. It located at 06 Clarendon St. The construction of the church started on 1872. Being an Art History minor the architects of these old buildings really fascinates me. If you are in Boston and have time, you should go visit this place. 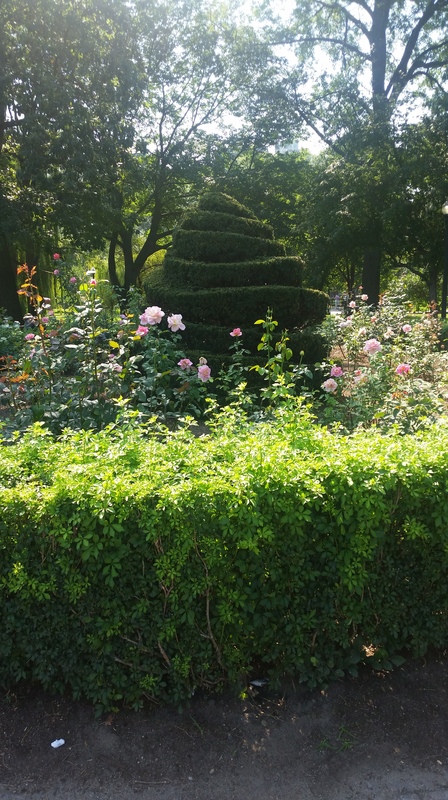 This is one of the most beautiful gardens I have visited. I have nature and it is so beautiful. The place is so scenic. I have willow trees and this garden is full of them. 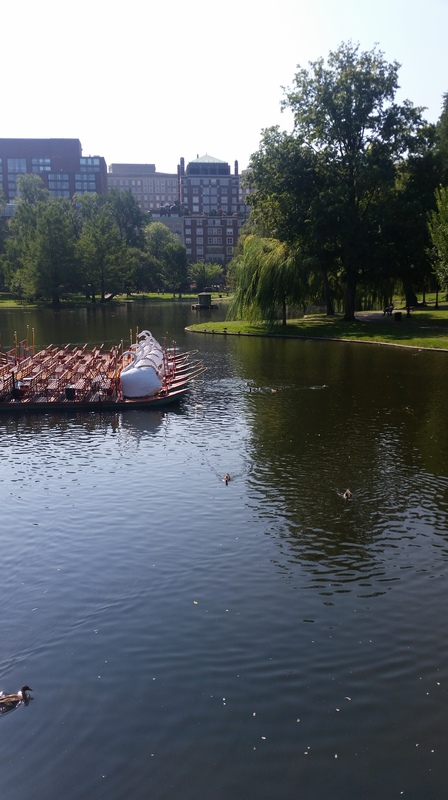 The swan boats were gliding quietly over the pond. There are always a beautiful variety of plants, flowers, trees and foliage. 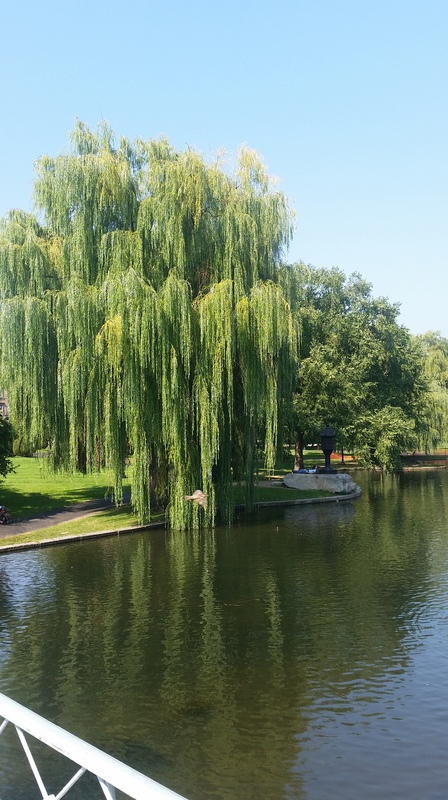 With majestic weeping willows, excellent people-watching, swans swimming by, I couldn’t do anything but smile. 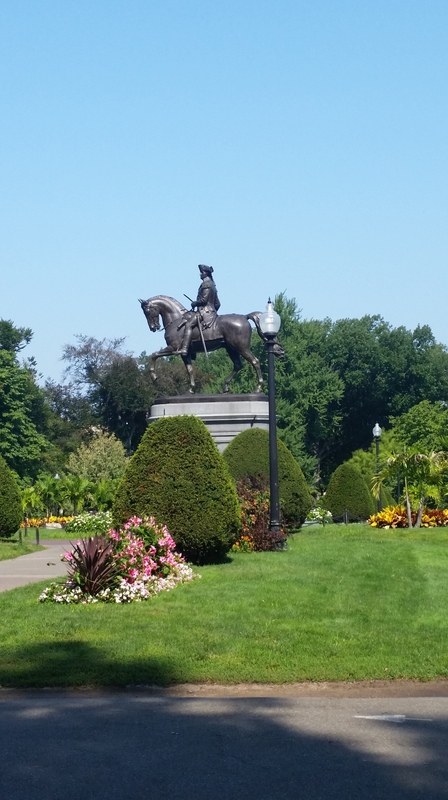 This garden is right adjacent to Boston commons, which is the starting point of the Freedom Trail, and the oldest park in the country. After a stroll through nature, why stop here? 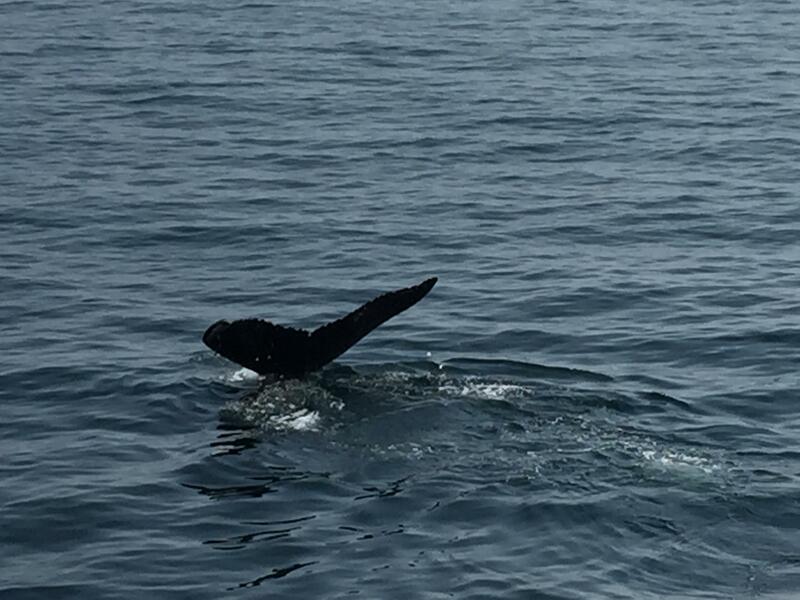 Take a cap to the New England Aquarium at 1 Central Wharf and take the Boston Harbor Cruise for 3 hour Whale watching experience. You are going have the time of your life. 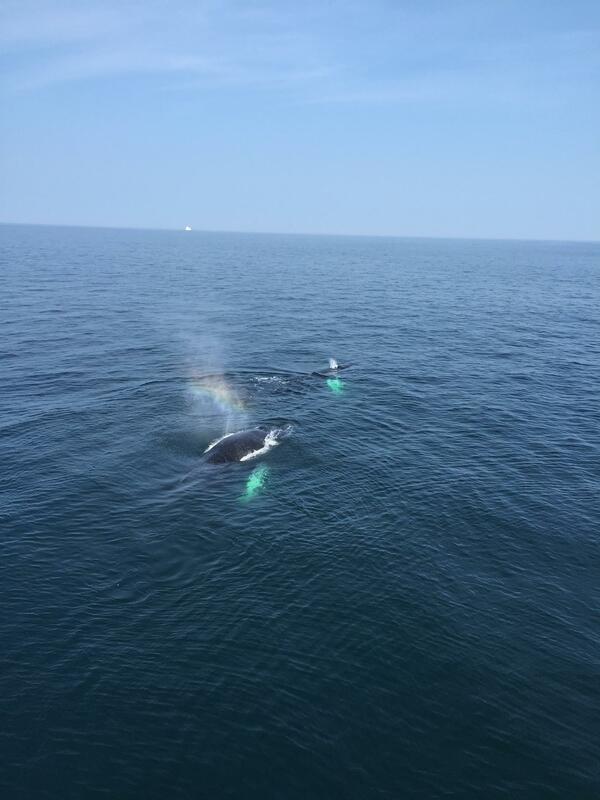 If the weather is nice you will see a lot of whales. Copley Place, an upscale shopping center at 100 Huntington Ave. It stores shops, including Ralph Lauren, Christian Dior, John Varvatos, Michael Kors, Tory Burch, Victorinox Swiss Army, Porsche Design, Tiffany & Co., Jimmy Choo, David Yurman, Louis Vuitton, Salvatore Ferragamo, Banana Republic, and Gap. Prudential Center, I myself preferred the shops that prudential center located at 800 Boylston St, right across from the Colonnade Hotel. It houses for budget friendly stores such as Lacoste, Body Shop, Ann Taylor, Loft, Saks Fifth Avenue, Vera Bradley, and more. What I like most about this building is the Skywalk Observatory on the 50th Floor. You can have the most amazing view from the observatory. 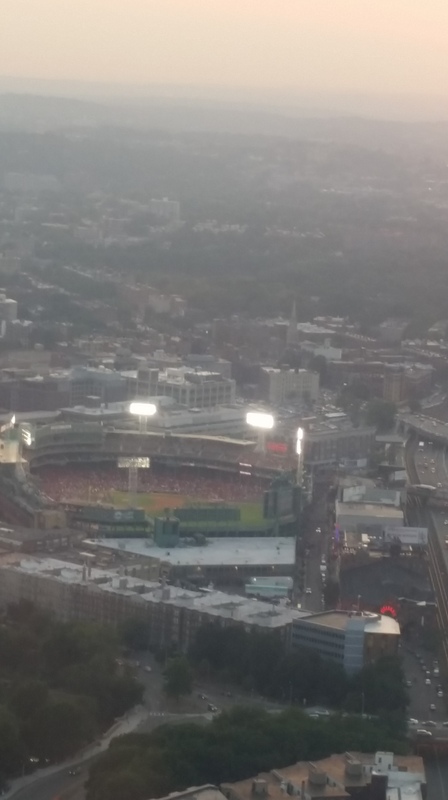 We had a business dinner there and we got to see the view of Fenway Park with a Red Sox game going on at the time. What a view! Farmer’s Market, right close to the Copley Place, there was a farmer’s market where you could get fresh local items. 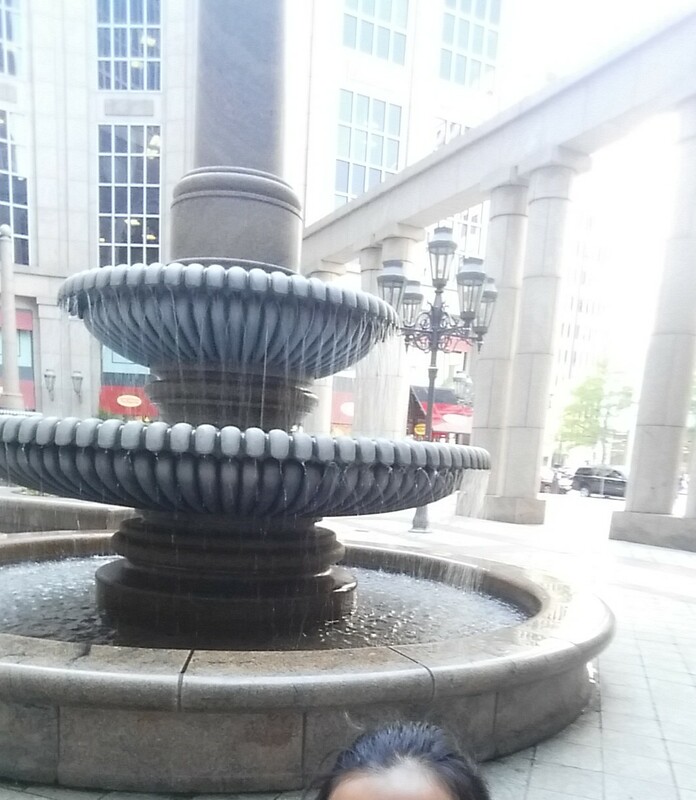 I could not stop by more since I was on a tight schedule, but next time I to go to Boston for leisure I am sure to really stop by and enjoy for more. My one and a half day trip to Boston was amazing. I cannot wait to go there with my family next time and enjoy more of it. My trip was short but I took few seconds just to stop and breath and see the Public Library from outside, say hello to the local people, just stop at the local farmer’s market for a just a second or buy a green tea lemonade from the Boylston St Starbucks and sit in front the fountain at 500 Boylston street before heading back to the chaos. Dear readers, wherever your travel, don’t forget to take your time to just take a deep breath and enjoy your surround and take in everything. Don’t forget to check out my Facebook Page and follow me on Instagram @allaboutme3181. 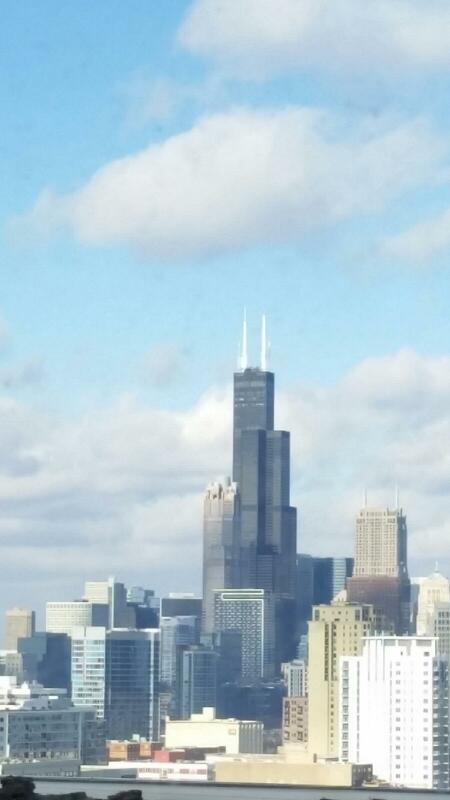 The last few days, I have had the pleasure of visiting the windy city of Chicago for a conference. It was a business trip, but my parents and my sister offered to come with me. Though majority of the time I was indoor learning various researches and findings on cardiovascular disease and presenting my own, I had the chance to explore parts of the city as well. Unfortunately, I visited the city during one of its record low temperature, making the outdoor exploration even more difficult. The five days I spent in Chicago, the highest temperature was on Saturday, with high temperatures in the low to mid 30s. On day one, right after we checked into our hotel, we took a cab to Willis Tower, once the tallest building in the world for two decades. 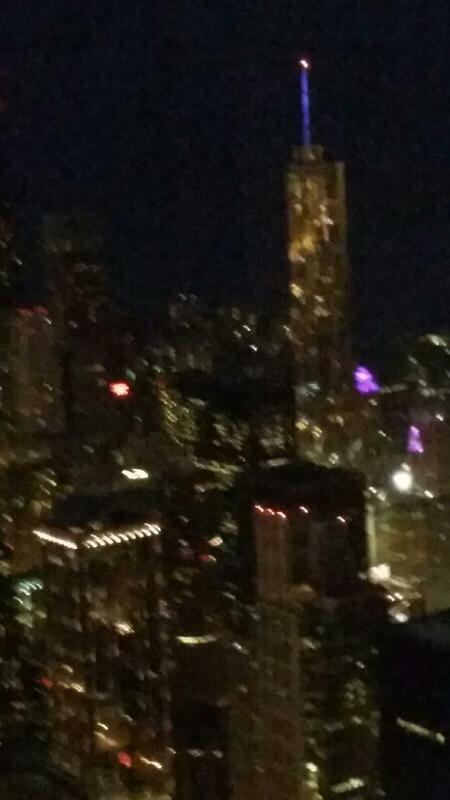 Visiting Willis Tower was the first in my list because it was for my grandfather. 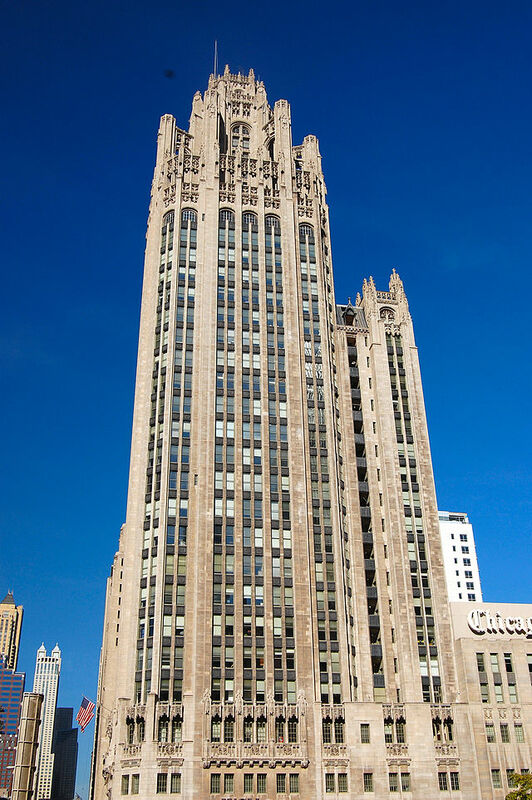 Growing up, I heard so much about this building and how I share the same last name and cultural background as the architect of the tallest building of the world, Dr. Fazrul Rahman Khan. The temperature was in the 20s and inside there were hundreds of people in line with a wait time of at least hour and a half. We had to go through security and long line to finally watch a video about history about the once called Sears Towers. F.R. Khan and Bruce Graham were inspired by cigarette sticks to come up with design of the building. The wait was all worth it, because the view of Skydeck was breathtaking and when I standing on the ledge, I felt that I was on the top of the world. Though I am scared of height, I had to stand at the ledge for my grandfather and it was all worth it. It’s was a feeling I will never forget. On day two, after my presentation, I had most of free the time to explore the windy city and the temperature was gorgeous. It was in the low to mid 30s though windy as expected. 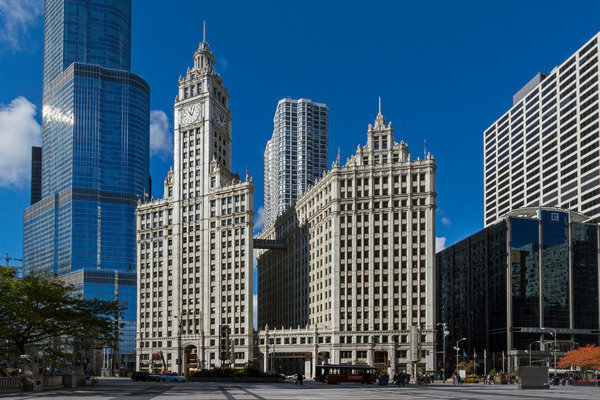 Hence, we took a cab from the McCormick Convention Center to the Shop at North Bridge at 520 N Michigan Avenue. This is a upscale retail place with stores, such a A/X, Boss, Bose, Louis, Vuitton, MAC, Porsche Design, Tommy Bahama, Sephora, Nordstorm, White House Black Market, and Forever21. 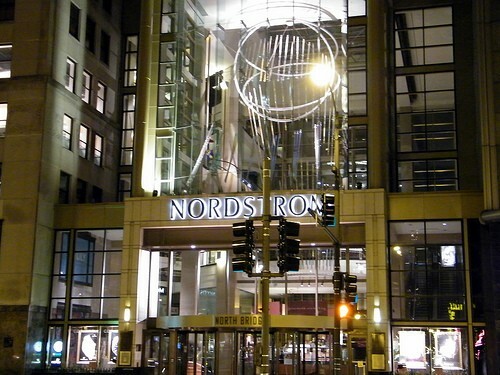 There are other stores in the neighborhood such as Gap, Coach, Guess, Macy’s and many more. After a little shopping, we walked through the “Magnificent Mile”. Along our walk we saw several Chicago landmarks such as the Wrigley Building, Water Tower, John Hancock Center, Tribune Tower, Trump International Hotel and Tower. As we walked down, we walked over to the Chicago River Walk, Crain Communication Building. Though, it was getting quite cold and windy, the view was breathtaking. I have to confess, I relied a lot on my maps app in my smartphone the entire time. We then went to the Millennium Park and the Agora in the south end of Grant Park. It has 106 armless, headless iron sculptures. The park also has the Buckingham Fountain in the park, one of the largest fountains in the world. Due to the brutal cold temperature, the next couple of days, and my busy conference schedule, before my flight back, we mostly spent indoors, enjoying the fine dining, such The Shor at the Hyatt Regency McCormick, and Phil Stefani’s 437 Rush at the 437 N 437 Rush St. However, a trip to Chicago is not complete until you try the famous Chicago Deep Dish Pizza. Nonetheless, we didn’t get a chance to visit the Navy Pier, or the Adler Planetarium, Shedd Aquarium. One thing for sure, the next time we visit Chicago, it has to be during the summer when I can enjoy from a walker’s perspective and really enjoy all the city has to offer. 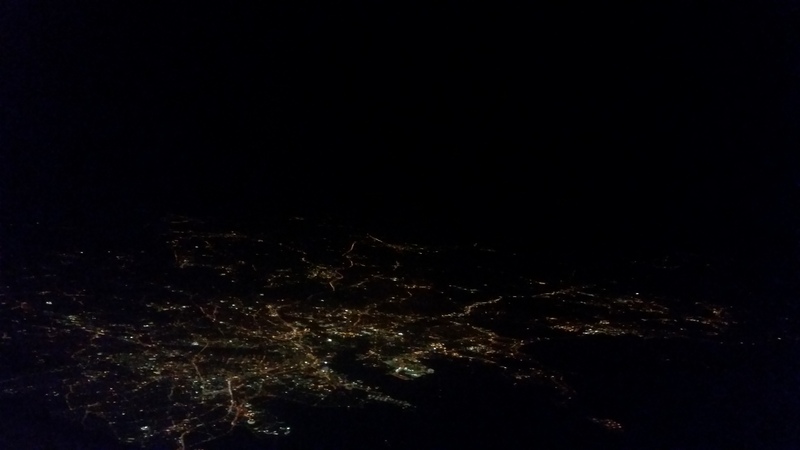 Beside the windy city, I also loved taking aerial view photograph of Boston City from the airplane when we switched plane to head home. It really gives a new prospective. I got to see the entire city in one big picture called macro perspective. In my public health of Epidemiology background macro perspective let’s you see pattern and symbols. 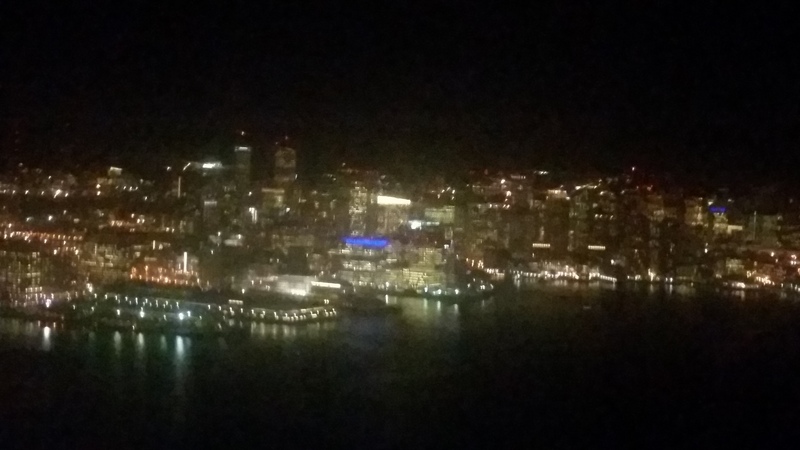 When I was looking at the night view of the city of Boston from the top, I knew that I have to go to the city one day and meet the city up close and personal. However, walking through the windy city of Chicago we got a micro perspective of the city. We saw the busy but friendly people. We got to see the small detail, such the sparkles in the children’s faces and the friendliness of the people and how they offered to take our family picture when they saw how hard we were trying to fit our faces taking family selfies, or the restaurant maitre d’ offering suggestion as to how to take advantage of the wonderful city in few brutally cold hours. 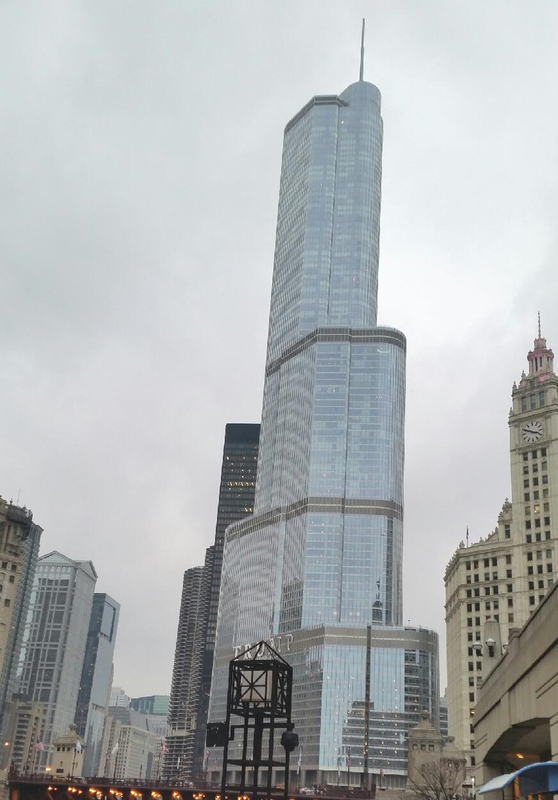 Overall, the trip to the windy city has not only been informative for work but also been enjoyable as well for travelling purposes. 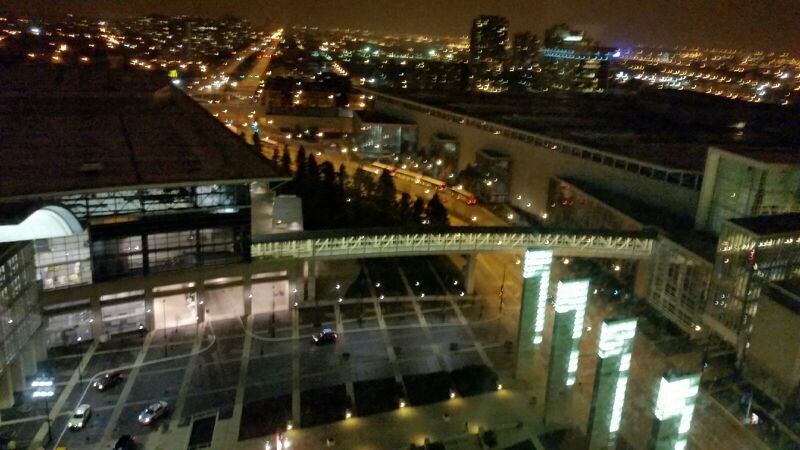 Though brutally cold, I enjoyed walking through the streets, and McCormick Place and counting my walking steps with my ihealth step tracker. The brutal cold did not stop me from surpassing my 10,000 steps each day. My recommendation, don’t let something like brutal cold ruin your trip to a new place. It’s true that Chicago would not have been my ideal vacation place during winter but that did not stop me from enjoying my very first trip to the windy city. Afterall, as Rachel Ann Nunes said “ Do what makes you happy, be with who makes you smile, laugh as much as you breathe, and love as long as you live”. Today is Veterans Day. We celebrate and honor those who serve our country. I want to thank all the men and women who are or have served our country for the sacrifices they make every day to protect us to that we can enjoy the lives we leave. Let us not confuse Veterans Day with Memorials Day. Memorial Day honors military personnel who died serving our country, especially those who died in the battle or as a result of the wound sustained in the battle. 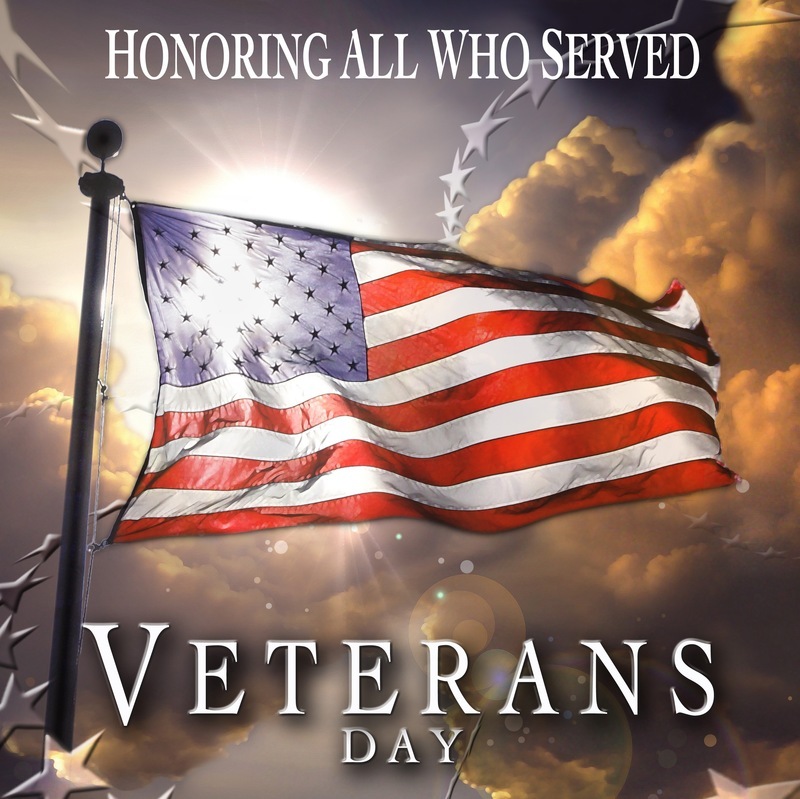 However, Veterans Day honors all those who served in the military. While we honor those we sacrificed so much for us and our country, I wanted to showcase the memorials I visited, especially in the Washington DC area so many times honoring our veterans and fallen heroes. It’s such a surreal experience walking through these memorials commemorating our nation’s heroes. I highly recommend everyone to visit these places when if you ever find yourself in the nation’s capital. World War II Memorial honors the 16 million who served in the armed forces of the U.S., the more than 400,000 who died, and all who supported the war effort from home. It was opened to public on April of 2004. Every time I visit the place, I find a profound peace. It is flanked by the Washington Monument to the east and the Lincoln Memorial to the west. Vietnam War Memorial honors men and women who served in the controversial Vietnam War. 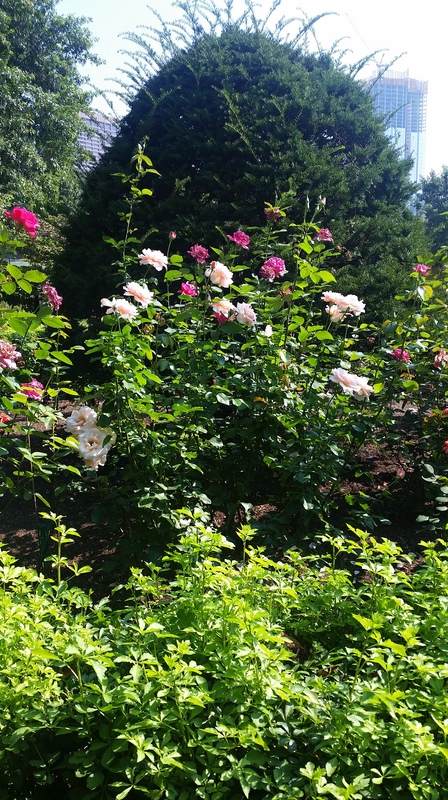 It is located in the constitution gardens adjacent to the National Mall, just northeast of the Lincoln Memorial. The memorial was opened to public on November of 1982. The memorial includes the names of over 58,000 servicemen and women who gave their lives in service in the Vietnam Conflict. The memorial also includes “The Three Servicemen” statue and the Vietnam Women’s Memorial. 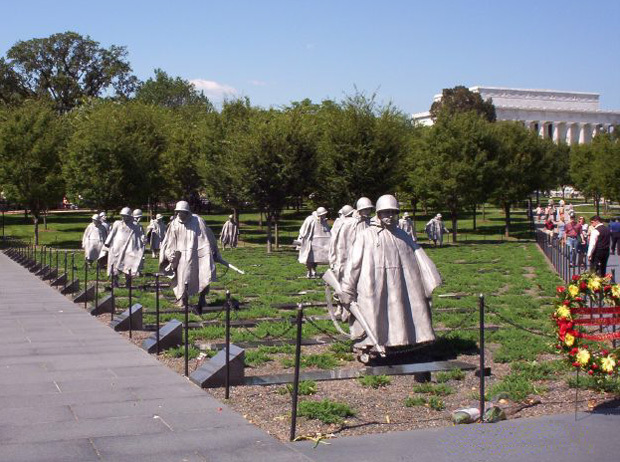 Korean War Memorial honors those who served in the forgotten Korean War. It is located in Washington D.C.’s West Potomac Park, southeast of the Lincoln Memorial and just south of the Reflecting Pool on the National Mall. The memorial was opened to public on July, 1995. It has several realistic sculptures of soldiers in trench coat, treading in the grass and on alert for enemy ambush. 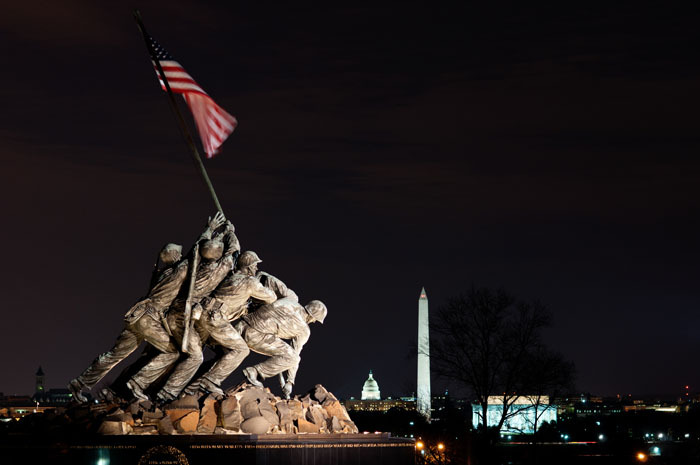 Iwo Jima Memorial, officially known as the Marine Corps War Memorial is located outside the walls of Arlington National Cemetery. It is dedicated to all personnel of the United States Marine Corps who have died in the defense of the United States since 1775. The memorial features the statues of the six servicemen who raised the second U.S. flag on Mount Suribachi during the Battle of Iwo Jima in World War II, on February 23, 1945. We have memorials honoring the heroes who sacrificed so much for your protection and our country. Visiting these places reminds us the coldness and cruelty of war and so much has been lost. Just go down with your family if not for anything just to sit down and enjoy the surrealistic beauty of these iconic memorials.